(TibetanReview.net, Aug06, 2016) – A Tibetan Buddhist monk who (Chinese: Aba) County of Sichuan Province has been found serving a three-year jail sentence in a neighbouring county, reported the Tibetan Service of Radio Free Asia (Washington) Aug 4. The monk, Adag (full name Lobsang Dagpa), of Ngaba’s Kirti Monastery, was searched for and finally found out by his family to be serving a three-year sentence in a prison in Lungu (Wenchuan) County. However, the family was not allowed to see him and there is no information on when he was tried and about his health and other conditions. The monk had been taken away by police after he staged a protest march in the county town-of Ngaba on Sep 10, 2015, shouting calls freedom for the Tibetan people. 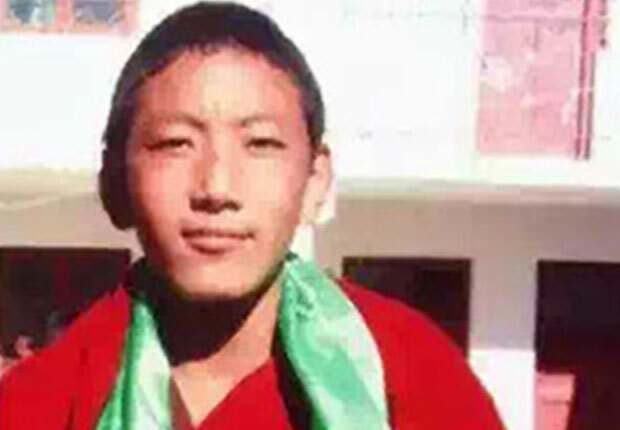 Tibetans who happened to be nearby were reported to have raised cries in support of him.